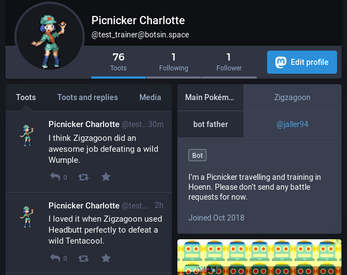 This is a social media bot posting on the Mastodon network. 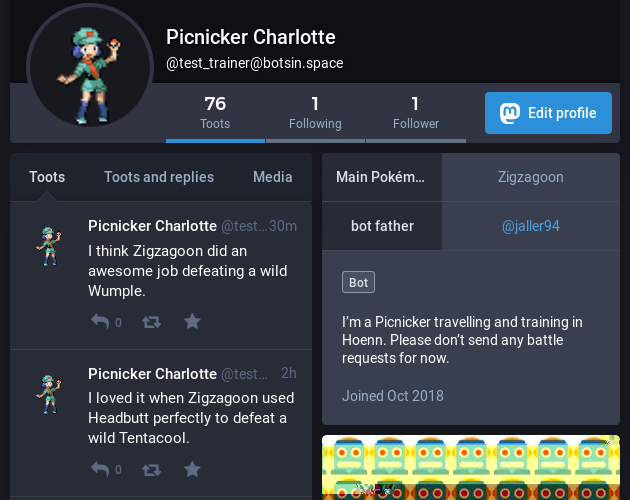 The bot simulate a Pokémon trainer as they are exploring their world. The world constraints are taken from the 3rd generation. The region is Hoenn as seen in Ruby and Sapphire.